Alpha is the essence of our famous Joker series distilled into a basic ‘no frills’ package. Superb value for money and very comfortable, Alpha Wmns is ideal for beginners or as a comfortable and inexpensive second pair. 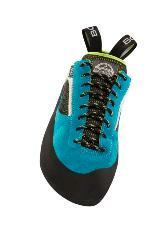 Diabola is the shoe to take your climbing to the next level without unnecessary discomfort. 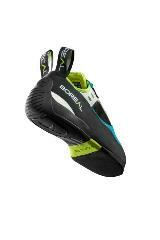 Diabola combines the precision of a performance shoe with the comfort of an intermediate model making it an incredibly versatile for both improving and experienced climbers alike.